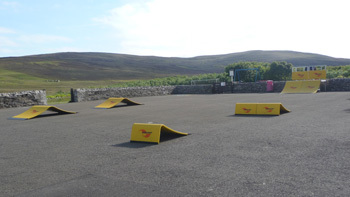 The temporary skate park, located at Rousay Primary School, has now been taken down, after its hire period came to an end. The park has been a huge success, with many of the Primary School pupils having great fun using their bicycles, skateboards and roller blades over the past two weeks. 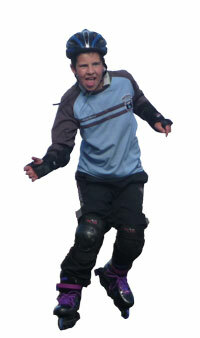 Roller blades in particular have been popular, with a number of pupils keen to give them a go. 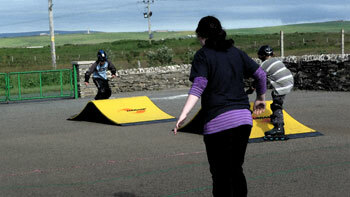 The recent warm weather ensured that the park got maximum use. It is hoped that more features, such as ice skating, can be arranged in the near future.